A sneak preview of our sneak preview of the upcoming Willie Nelson album “Ride Me Back Home” with Willie, producer Buddy Cannon and SiriusXM’s Paula Nelson at the Luck Chapel at Willie’s ranch in Luck, TX. Even if you can’t join us in Burgettstown, PA, there are still many ways to join in at home! Online: Stream video of Farm Aid 2017 at farmaid.org starting at 3:00 p.m. ET to watch live performances from the stage and stories from family farmers across the concert region. Television: Watch AXS TV’s live broadcast or set your DVR beginning at 7:00 p.m. ET. 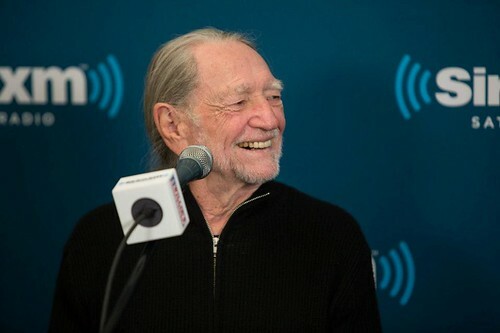 Radio: Tune into Willie Nelson’s SiriusXM channel (59), Willie’s Roadhouse, for all the music plus backstage interviews with artists, local family farmers and more starting at 12 p.m. ET. Join us wherever you are! Willie Nelson’s SiriusXM channel (59), Willie’s Roadhouse, will air live from Farm Aid 2017, beginning at 12 p.m. ET on Saturday, September 16. SiriusXM’s Dallas Wayne will host backstage interviews with artists, local family farmers and more. 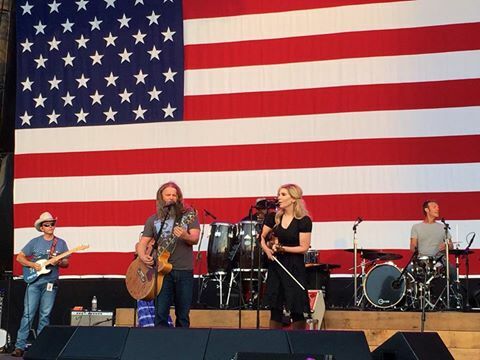 Jamey Johnson featuring special guest Alison Krauss at Willie Nelson’s 4th of July Picnic at Austin 360 Ampitheater. Terry Thompson listens on the radio, on the road. 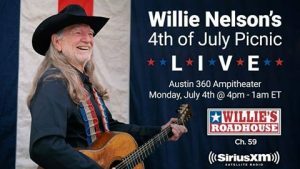 Celebrate the 4th of July with Willie Nelson & Family LIVE from the Austin360 Amphitheater in Austin, TX, exclusively on WIllie’s own SiriusXM Radio channel SiriusXM Willie’s Roadhouse. 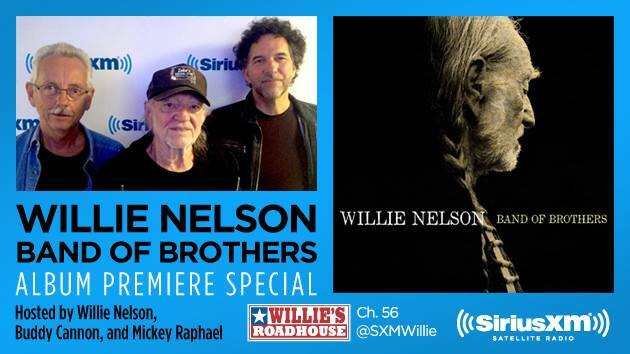 Willie Nelson is joined in-studio by his producer/co-writer Buddy Cannon and harmonica player Mickey Raphael for this exclusive “Band Of Brothers” album premiere special. Legacy Recordings is releasing the album on Tuesday 6/17, but SiriusXM Radiosubscribers will get to hear the 14-song album in its entirety, along with first-hand stories behind the songs and sessions. 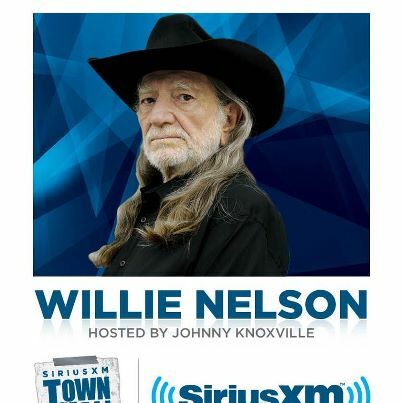 This one-hour special will premiere on Saturday 6/14 noon ET, with rebroadcasts on Sunday 6/15 3 pm ET; Tuesday 6/17 6 pm ET; and Thursday 6/18 11 pm ET on SiriusXM Willie’s Roadhouse Ch. 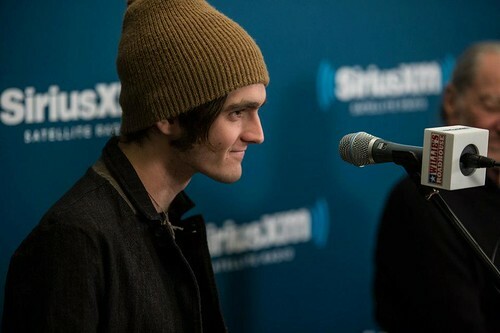 56 and www.siriusxm.com. For more information on “Band Of Brothers” go to Willie Nelson.com or Legacy Recordings. 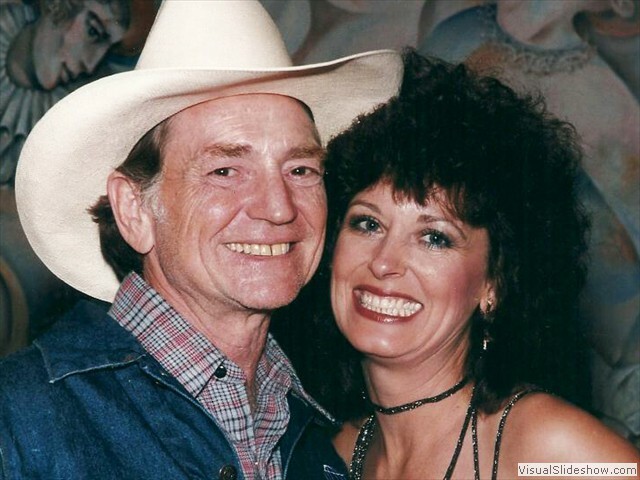 Leona Williams and Ron Williams were guests of Dallas Wayne today on Willie’s RoadHouse on SiriusXM radio this afternoon, and spent an hour talking about Leona’s tour and new album, and country music. During Dallas’ interview, Willie Nelson called in to talk with his friend Leona. “I just wanted to let everyone know – I’m your biggest fan. 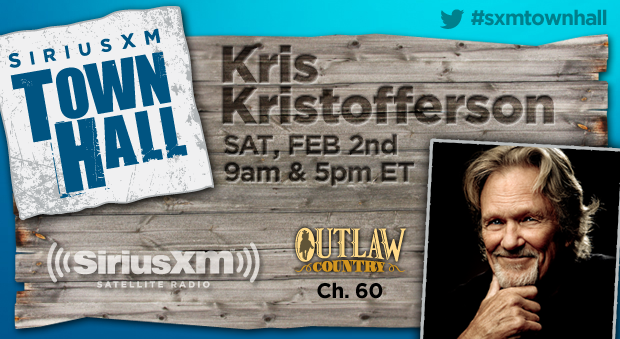 Sirius/XM Radio is re-broadcasting some of their great Town Hall series, through their Ondemand Feature. 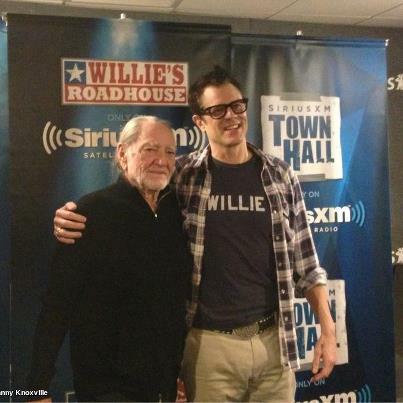 Re-broadcasts include their Town Hall with Willie Nelson, filmed last month, hosted by movie star and Willie Nelson fan Johnny Knoxville. 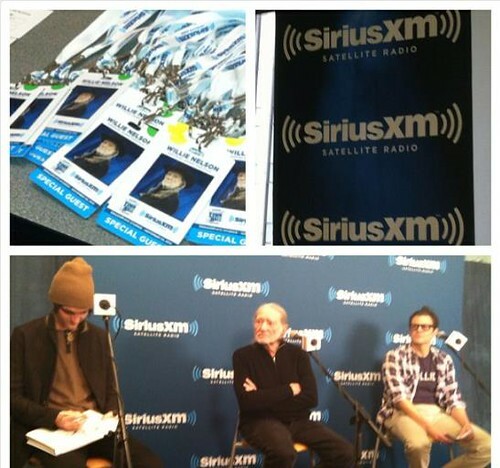 For more information visit Sirius/XM website, or find them on Facebook. We’ve got your front row seat to live concerts across the country featuring Willie Nelson, Gregg Allman, Widespread Panic, The Avett Brothers, The Lumineers, Southside Johnny and Little Feat as well as live DJ sets from Afrojack, Armin van Buuren, Avicii, Dada Life and Eric Prydz. 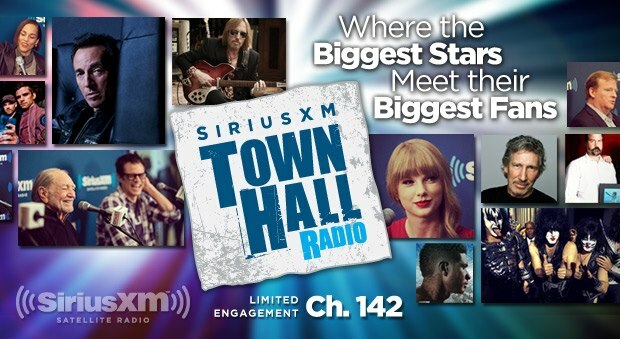 “There were 15 contest winners at the Town Hall, but there were 30 of us all together, because each winner was allowed to bring a guest. Only the actual contest winners were allowed in the “fish bowl,” where they recorded the show’s sound. The 15 guests were right outside of the fish bowl looking in. Besides the guests, Willie, Micah, and host Johnny Knoxville were inside the fish bowl. Annie, David Anderson, Mark Rothbaum, and the man who wrote the song, “Cowboys are Frequently, Secretly Fond of Each Other” were also present. I’d say I was there for a couple hours. The show started slightly late, but it went really smoothly, otherwise. We went early to check in, and stayed later, to pose with Willie for professional photographs (which I’m not even in possession of, yet). When the winners were notified via email, they were told to submit 3 questions for Willie and told they would be asking him on the show. You weren’t told which of your questions was chosen until you arrived in the studio! Luckily, they chose the question I wanted to ask him! 🙂 Since my mom is technically the subscriber, she should have been in the fish bowl, but (being the wonderful woman she is) requested that I (her guest) be the one to ask Willie the question. They, as you can tell, agreed. As far as I know, there were no guidelines/restrictions for the questions. Willie was told to basically come in and start. During the broadcast, there were pauses for ads, songs, etc. 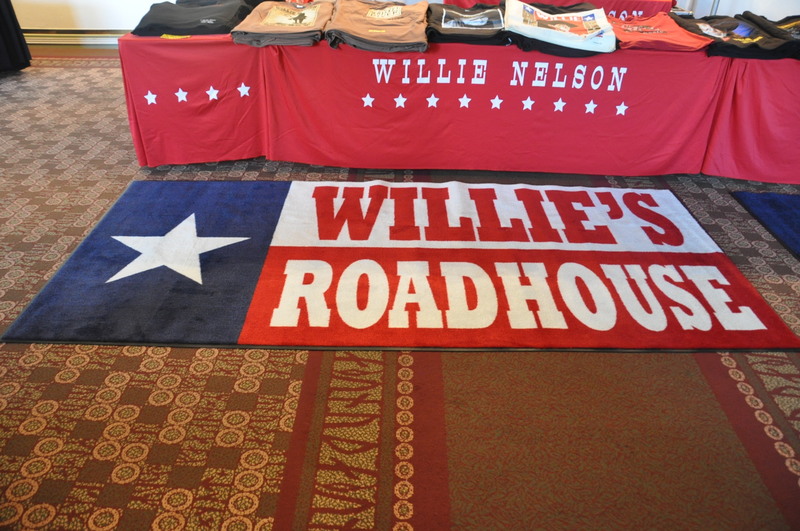 There was no arrangements, in particular, set up for people to meet Willie, but everyone took it upon themselves to ask Willie follow-up questions, and for autographs during the show’s pauses. 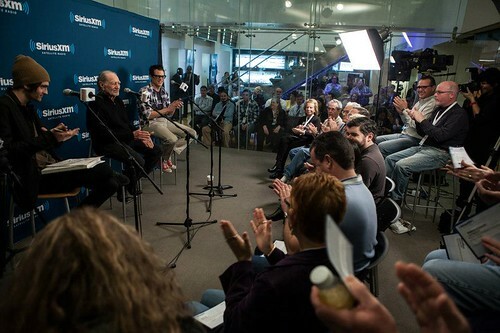 At each of these times, the microphones were turned off, and only those in the fish bowl could hear what was taking place. I didn’t ask Willie follow-up questions, or to sign anything, but I did sing along when the songs played! I actually had no idea we were getting professional pictures taken with Willie, so it took me by surprise! The photos were taken after the Town Hall, but it was very rushed! Willie posed individeually with each winner and their guest for a photo. It was such a wonderful experience, and I’m so grateful to have gone! Even after 18 years, I still get all giddy to see Willie! The other guests fell in love with Willie. Smiles from ear to ear! Also, I know Johnny Knoxville is known for his “Jackass” TV Show), but he was super nice, and did a great job hosting! He even recorded a short message for a family member of one of the guests! 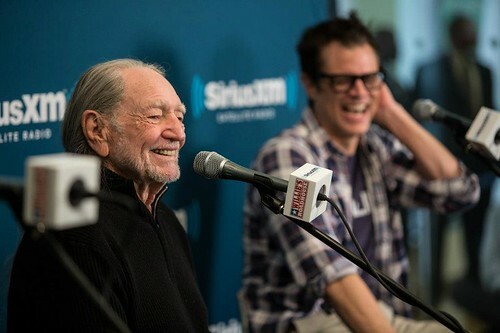 Willie Nelson, the 79-year-old country icon, Red Headed Stranger, and friend of the reefer, cracked jokes and shared tales from the road yesterday at a SiriusXM Town Hall in Manhattan. 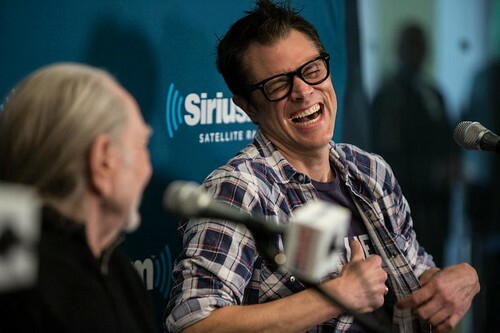 Hosted by Johnny Knoxville — yes, that Johnny Knoxville — the event offered a few lucky subscribers the chance to ask questions of the legendary performer in an intimate setting. It was all geared toward promoting Nelson’s new book Roll Me Up and Smoke Me When I Die: Musings from the Road, which hit stores last week. Nelson’s son Micah, who provided all of the book’s illustrations, joined his father and Knoxville on stage. Knoxville introduced Nelson as the “greatest living songwriter, and a pretty good bullsh—er,” claims which are not wholly unfounded. Nelson has left a titanic mark on country music — he’s sold more than 40 million albums in the U.S. alone — and he spins a pretty good yarn, bullsh– or not. Nelson is graced with the gift of storytelling particular to country & western performers. Every tale told in his weathered baritone, whether about trying to raise hogs and chickens in Nashville or getting his guitar signed by superstar Leon Russell, came off with the paternal, homespun ease of a granddad at the kitchen table. He started one anecdote, “Johnny Bush and I were building an electric fence during a rainstorm…” sneaking a wily grin while recalling their misadventure. You got the sense that Nelson was chummy with just about everyone in the history of the business, and has gotten into some good ol’ fashioned trouble with most of them. In fact Nelson seemed eager to brush off the praise being heaped on him in favor of highlighting the work of his peers. “Leon Russell was the best entertainer I’d ever seen,” he said. “He was the first guy I saw who threw his hat into the audience. So I stole that from him right off.” When a fan asked who he thought should win future Willie Nelson Lifetime Achievement Awards (Nelson himself received the inaugural honorthis year), he suggested 92-year-old Little Jimmy Dickens and 86-year-old Ray Price. Before he left, he also made sure to mention his friend,composer and musician Ned Sublette, who had stood quietly in the back of the room during the Q&A; Sublette appeared genuinely moved by the nod. And as if we needed any further proof that Willie Nelson is just a down-home good ol’ boy who happened to strike it big, he cited his family and his children as his greatest accomplishments (even if he has been married four times). Nelson’s a bona fide star, yet he still puts family first and shrugs off the trappings of the industry (“Nashville is a store where you go to sell your stuff”) — ten-gallon hats off to you, sir. 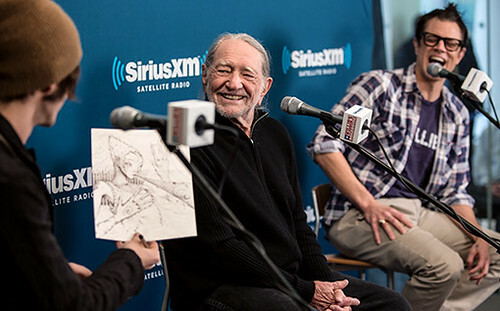 The SiriusXM Town Hall with Willie Nelson will broadcast on Willie’s Roadhouse and Outlaw Country throughout the week. 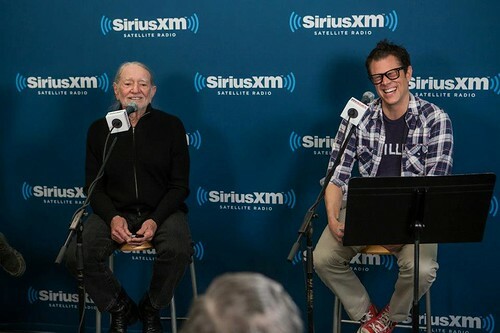 If you missed it, or want to hear it again — Sirius/XM radio is re-broadcasting their Town Hall With Willie Nelson which aired last week, hosted by Johnny Knoxville form New York City. 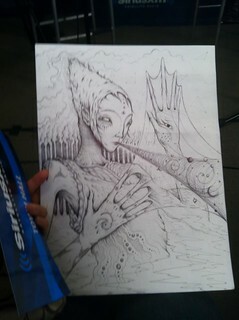 Micah Nelson was at the town hall, and sketched througout. He said the photo would be on his Deviant art space on line, when it is finished. 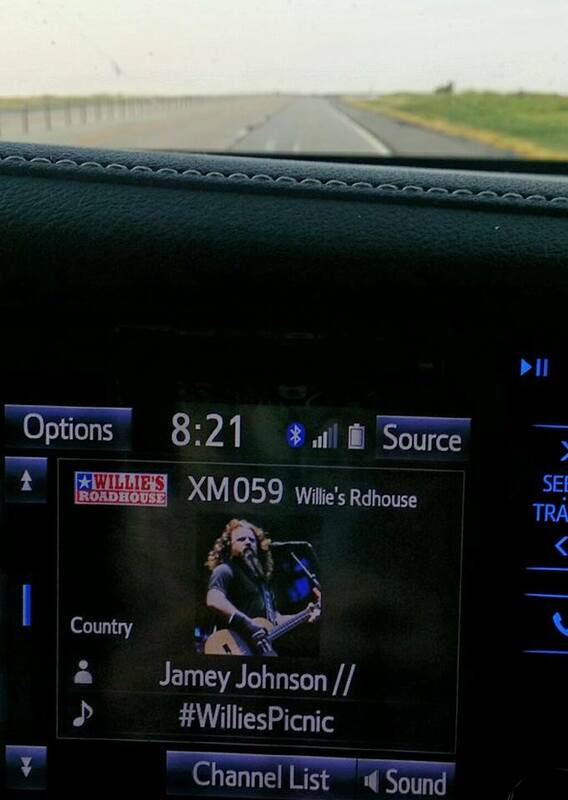 Friend Sirius/XM radio and Willie’s Road House on Facebook and see all the pics.